The contest between the Italian government and the European Commission over the former’s budget plans for 2019 has highlighted an enduring problem in EU economic governance: what can be done if national governments defy the rules? In verdicts published on 21 November concerning the draft budgets of Eurozone countries for 2019, the European Commission has singled out Italy as being, in the words of the press release, ‘a particularly serious case of non-compliance’. The Commission also presents further analysis of the deterioration in Italy’s public finances, blaming the new Italian government. This analysis continues to be rejected by Italy’s leaders, especially the combative deputy prime minister and head of the Lega party, Matteo Salvini. Meanwhile, Valdis Dombrovskis (the European Commission Vice President responsible for economic and financial affairs) has accused the Italians of openly defying not just the Commission, but the rules agreed by all Eurozone members. France has also been drawn into the war of words, with Italian leaders complaining that the Commission has been softer on France than on Italy, with no real justification. Ten of the nineteen Eurozone members are, in effect, given a clean bill of health. Predictably they include Germany and the Netherlands, but it is interesting to note the inclusion of two of the countries bailed out during the euro crisis – Cyprus and Ireland – in this group. Some may be surprised that, after exiting its adjustment programme barely three months ago, Greece’s draft budget is also considered to be fully compliant with EU rules. Estonia, Latvia and Slovakia are deemed to be ‘broadly compliant’ with the EU rules, but have been warned about some deviation from the righteous path. A more severe warning is issued to Belgium, France, Portugal, Slovenia and Spain, all adjudged to be ‘at risk of non-compliance’. Spain is also, in addition, still subject to the EU’s ‘excessive deficit procedure’, although expected to exit it next year. What happens next is an open question. Although the Commission’s verdict that Italy comes bottom of the class and needs to revise its plans was widely anticipated, it sets in motion a sequence of steps potentially culminating in a fine of up to 0.5% of the country’s GDP. Leaving aside the questionable logic of exacerbating a government deficit by imposing a fine on it for having too big a deficit in the first place, the stand-off poses more fundamental questions about the credibility of the rules-based governance of fiscal policy in the Eurozone. In principle, the EU has both an obligation to act and powerful instruments to punish delinquent member states. But it has never taken enforcement to the stage of imposing financial penalties and it would be a real escalation of hostilities if it did. The EU is far from rigid in its approach and has shown some flexibility. Thus, in 2016, when Portugal and Spain were in the dock, the Kafkaesque judgement – reportedly even supported by Wolfgang Schaüble, the German Finance Minister – was to impose a fine …. of zero euros. Fifteen years ago, France and Germany received only the lightest of raps on their knuckles for breaching the simpler rules in force then. 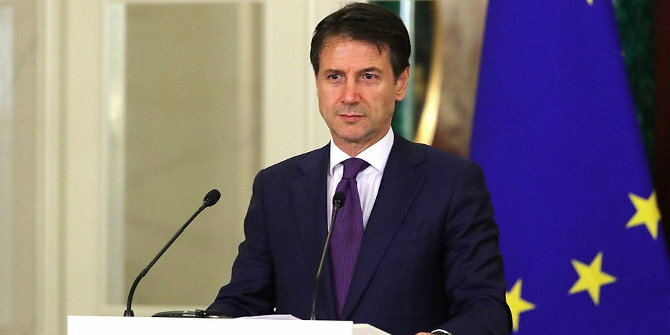 While a similar sort of fudge could be cooked up again to resolve the dispute with Italy, the manner in which the Italian government is flouting the EU rules will make this far harder. In what could become a damaging political development for the EU, Salvini, as argued previously, is actively seeking confrontation with the Commission to boost his standing in domestic politics. Over the years, the original simple rule requiring governments to aim for public finances close to balance or in surplus and prohibiting a deficit higher than 3% of GDP has become increasingly complex. Countries have, in addition been obliged to adopt national rules compatible with the EU rules. The supposedly most binding fiscal rules refer to ratios in which the numerator is the government deficit or debt, while the denominator is GDP. The Italian government (as do many economists from a broadly Keynesian background) argues that the boost to the economy from a higher budget deficit in the short-term will improve the denominator, such that the ratio of debt to GDP will fall in the medium-term. By contrast, the orthodox view written into the architecture of economic and monetary union and espoused by the Commission, is that adherence to rules is a necessary condition for economic growth. The success of rule-based austerity policies in Ireland, Portugal and Cyprus is sometimes cited in support of this argument, while the more extreme German ordo-liberals regard it as axiomatic. But there is growing dis-satisfaction among economists about the complexity, intrusiveness and lack of efficacy of rules. Certainly, something is amiss when the manual for implementing the EU’s Stability and Growth Pact has ballooned to some 250 pages in recent years. Mere simplification of rules will not, however, be enough. Instead, a more extensive rethink is needed, including consideration of the underlying economics. Rules have the double purpose of preventing destabilising policies while also contributing to the coordination of fiscal policies in the interest of effective policy making for the Eurozone. However, rules have repeatedly been breached since the establishment of the euro. As the findings of a recent EU-funded research project show, the search is on for alternative approaches to the governance of budgetary policy. Recent innovations such as the establishment of Independent Fiscal Councils across the EU could be part of the answer. Note: This article originally appeared at the Dahrendorf Forum. It gives the views of the author, not the position of EUROPP – European Politics and Policy or the London School of Economics.